With so much information out there, it is hard to know where to turn for your dental care. We hope that by sharing our reviews, we can help you understand why dental care at Willden Family Dental is different. Dr Willden is an Amazing dentist. Thorough, intelligent and caring. Staff is expert at what they do. Clean friendly environment. I can’t say enough about this practice. It’s a fun experience I actually enjoy. Very best dentist I’ve ever had! Best dentist in town, staff is very friendly and Dr. Wilden is fabulous and very knowledgeable. Nicole the Hygenist is gentle. Highly recommend them! As always. Willden Family Dentistry did a fine job. Nichole is a thorough and gentle hygienist. I especially like the water flossing, which eliminates most of the scaling. Dr Willden keeps close watch on problem areas and works quickly and gently when filling cavities. I recommend this practice wholeheartedly. Wonderful all around. The space is delightful and Dr. Willden and her entire staff are very fun and competent and thorough. They explain everything in detail and offer options based on your sensitivity level. Extremely happy with this practice. Fantasic staff, great attitudes and first class work. Truly want what is best for their patients. Cannot recommend them high enough! This practice is so good and so comfortable to go to that after moving to the Springs, I drive just to stay with the practice. The best and the nicest! We are so happy we discovered this fabulous dental practice. Fairly new to Montrose, we were unsure where to find a good dentist. Dr. Naomi Willden is the kindest, most gentle and professional dentist we've ever had. Ever. The entire office staff is friendly and professional. 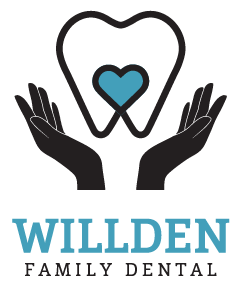 Montrose has many delightful surprises and Willden Family Dental is one of them! Great dentist and team, I am happy to be one of their clients. Have had very good experiences with my dental health procedures. Would recommend Dr. Willden. They are always the most friendly and caring!!!! Dr. Naomi even made handmade truffles for her patients! They had a rose and valentine for everyone....so thoughtful!!! I have received excellent dental care with Dr Willden and her staff. Dr. Willden has been great at diagnosing and explaining issues and procedures so I understand. She fitted me with several crowns and fillings all of which I am very happy with as well as a night/snore guard that works well. The staff is welcoming. They listen to your concerns. They talk through the treatment options with you before anything is done. Great experience of a not so pleasant procedure. Excellent first time experience with this dentist. Great social skills. From the front desk, dental assistant, to Dr Willden. Prompt, professional, painless procedures. I also had my teeth cleaned a couple of weeks ago. That was the whitest they've ever been after a cleaning.